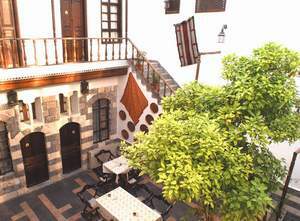 Dar Al-Yasmin is an ancient Damascene palace which was repaired with the ancient substances which luxurious hotel in the center of old Damascus. 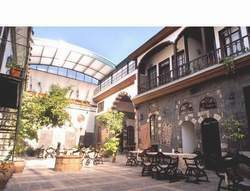 Therefor it is located near the most important ancient places in Damascus such as "Omayad mosque", "Haniana Church" and "The Tomb of Jhons" which enable our visitors to live in the midst of the old Syrian life. 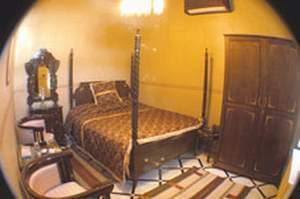 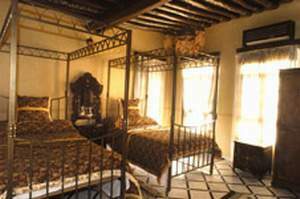 In fact Dar Al-Yasmin Boutique Hotel rooms are magical harmony between the modern luxurious needs such as (Air-condition –satellite T.V and internet ) and the land made original Damascene furniture which was made by the most skillful Syrian proficient. 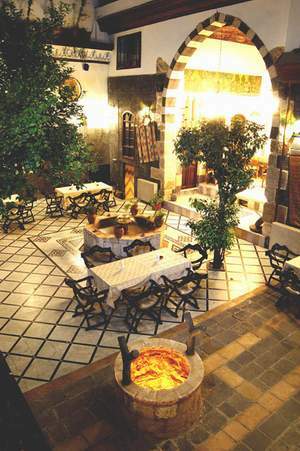 In Dar Al Yasmin you can enjoy your meals in Dar Al-Yasmin Boutique Hotel Damascene restaurant whose cap city is in for more than 200 persons around Al Sham Bahra (pool) which server the most delicious Arabian or west dishes. 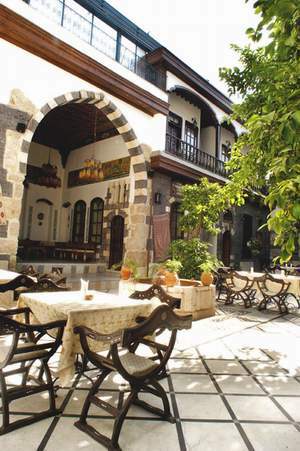 You also can enjoy yourself in Dar Al-Yasmin Boutique Hotel Turkish Hammam and Souna. 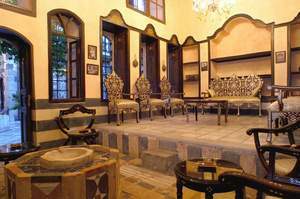 Finally you can enjoy the calm sitting in the "Oriental Hall" of the palace which is considered a fantastic active Damascene picture.